All the party managers would agree that it’s always quite a task to arrange a party, especially the elaborate ones. There are so many activities to be covered and there are high chances of missing out on one or two under pressure. 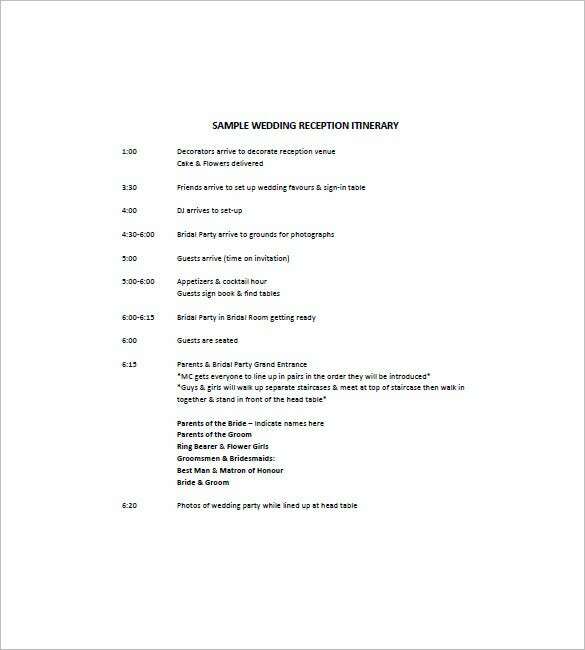 But, you can straighten everything with the help of an event agenda template as it will bring an order to your routine. 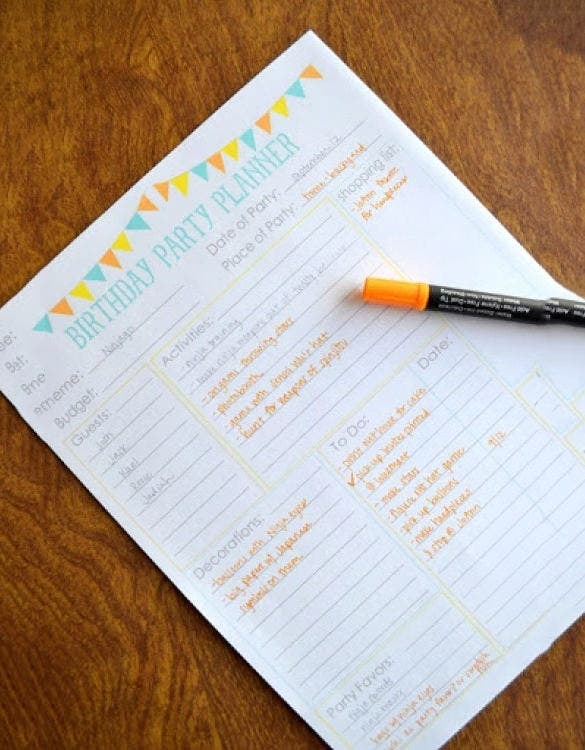 The birthday party agenda/ planning template features a very simple to use template with the help of which you can draft party agenda within no time. Designated spaces are provided in it so that you may easily fill in the details like theme and date of party, activities, decorations, party favors and more. 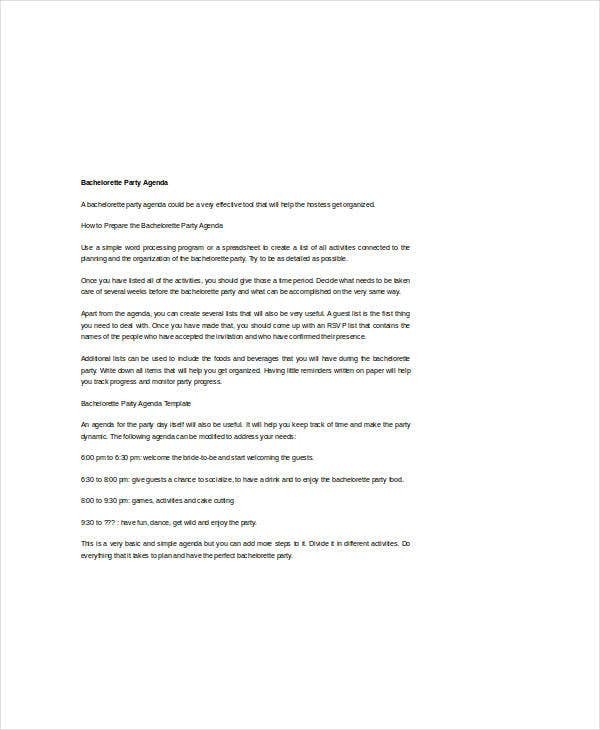 bachelorette-party-ideas.com | The bachelorette party agenda template comes in word doc file which can be downloaded in an instant. This template is specially designed in order to help you out in drafting bachelorette party agenda. With its help, you can easily host your party with convenience as it helps you in going according to the schedule planned. 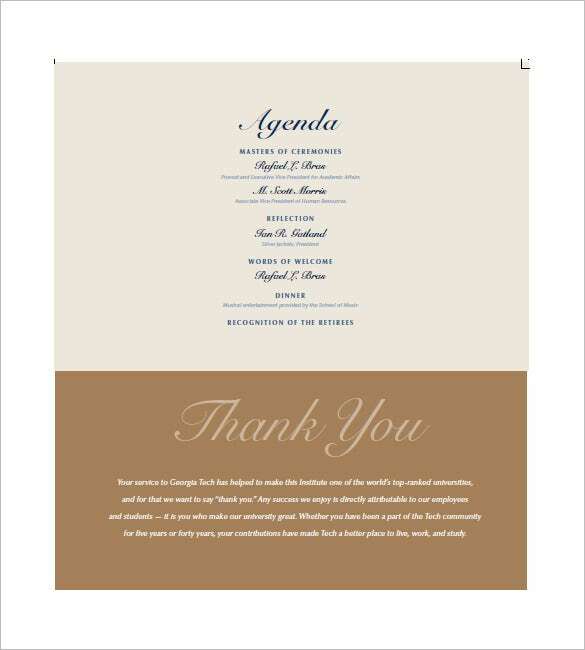 The retirement party agenda template, as the name suggests, is specially designed for preparing the schedule for a retirement party. The retirement party is one of the most memorable parties in one’s life and planning as well as executing it well becomes a tough job sometimes, especially if you are doing it all on your own so this template helps you with that. gsachpna.nursingnetwork.com | The dinner party agenda template provides you with an agenda template specially designed for dinner parties. 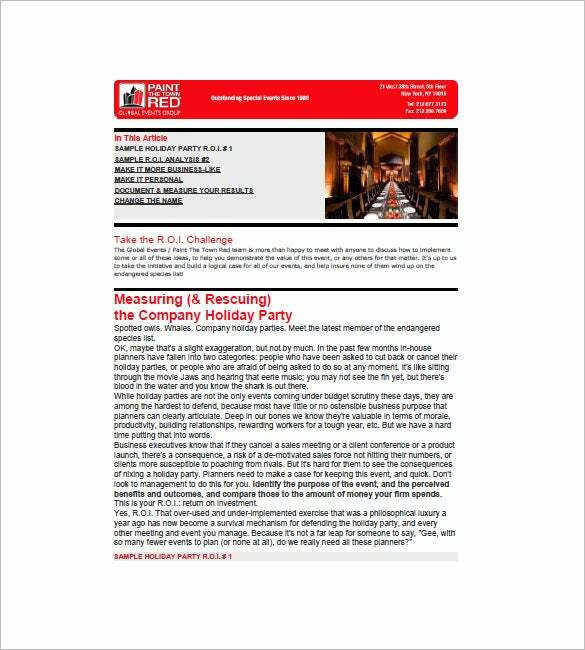 Arranging for dinners may be a regular thing but there are a lot of small things which require perfection for making the party great and with the help of this template, it becomes easy and stress-free to do that. The agenda template will synthesize all your assignments in an organized manner, with details on when to call the caterer or when to start the decoration. As you will have the entire routine before your eyes, you won’t skip a thing. > Why is the Party Agenda Template Needed? The party agenda template is needed for preparing the list of all things to be done for organising a party along with their timings so that you may get a proper agenda which can be followed by you for achieving desired results. Organising or managing is never a simple task to do and requires number of small things to be done in order to make a party worth remembering. It is very easy to miss out on small but relevant things like booking of customised cake, decorating the area properly and more which can create last minute tensions or even spoil your mood or your guest’s mood. 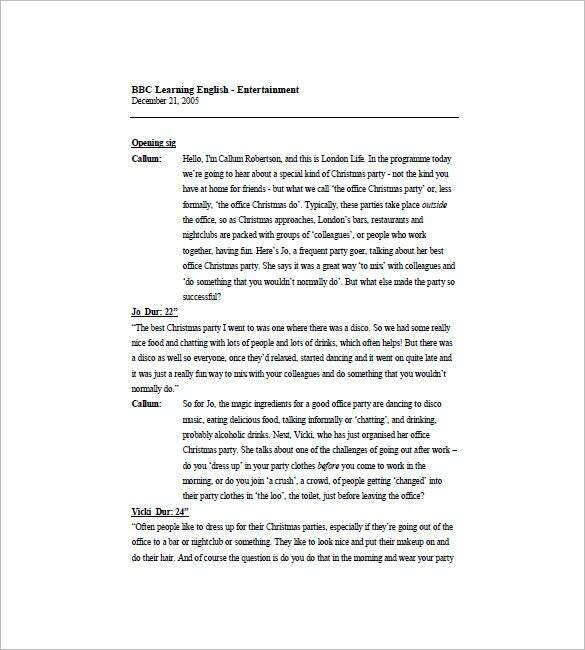 So, these templates are needed for drafting agendas properly in order to make those much awaited party perfect by you. > When is the Party Agenda Template Needed? The party agenda templates are needed when you are planning to host a party. These templates help you in managing or organising parties while making your work simple by providing you with party agendas. 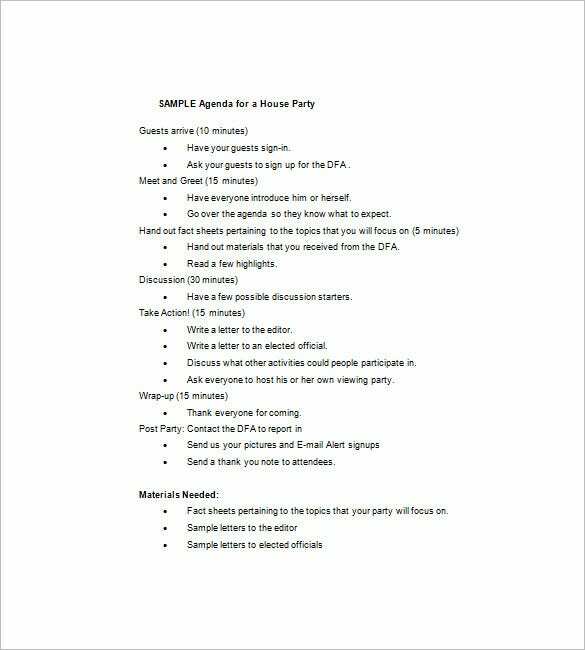 They are needed when you need to draft party agendas so as to make the list of things relevant to party which needs to be done in sequential order to make it easy for you to follow the order. 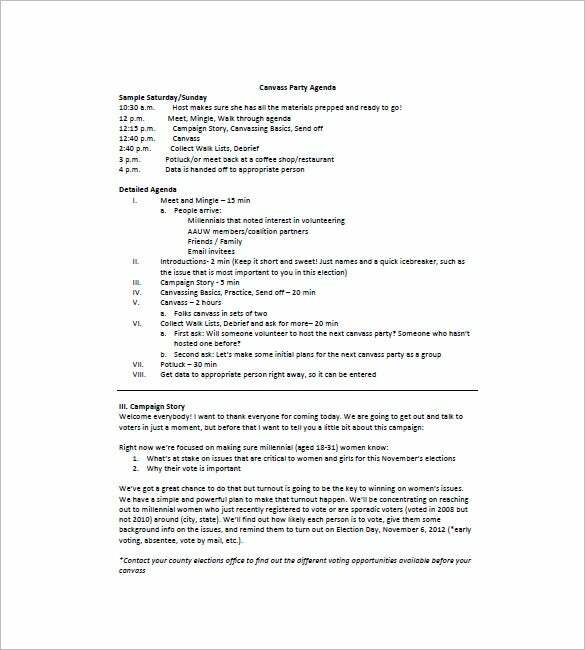 These templates are also needed when you are not able to manage things for party or when you are not having much time to draft party agenda on your own as all templates provided here are well formatted and helps you in drafting agendas without no time. 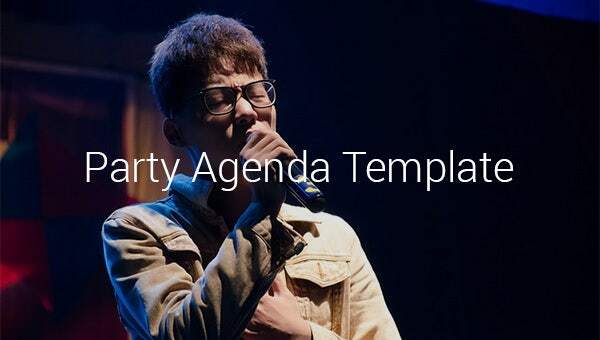 By downloading party agenda templates, you get several benefits. These templates help you in organising your party easily and just as you wished for by providing you with well drafted party agendas. They also benefit you in drafting your own party agenda with their help by providing you with samples or acting as samples. Also, these are reusable and you can use them whenever you need to by just downloading them once. They also help you in saving your time and efforts by sorting out your work to be done. And finally, they help you in throwing a party which becomes memorable for your guests as well as you. The party agenda templates are easily available on the internet which you can download without any inconvenience. 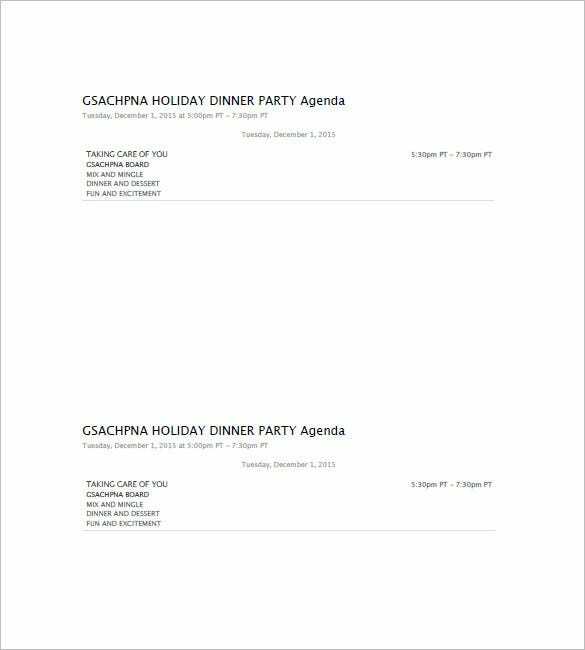 There are various options available for you so that you may get and download the one that you require like dinner party agenda template, retirement party agenda template and more. If you have any DMCA issues on this post, please contact us!